Join Suzanne Ross and Adam Ericksen as they discuss Facebook's recent PR problems. Should people stop using Facebook? 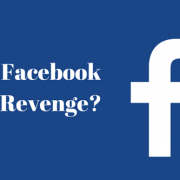 Or does Facebook have enough redeeming qualities for us to continue to use it?